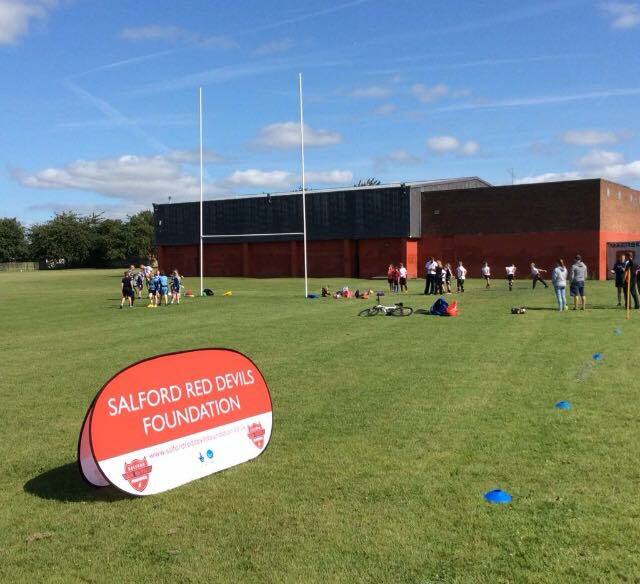 The Salford Red Devils Foundation are recruiting for their rugby league scholarship programme for 16-19 year olds. The scholarship offers boys with a passion for a career in professional sport the opportunity to study and train at the AJ Bell Stadium, learning from highly qualified, industry-specialist teachers and coaches. Throughout the Scholarship, students will gain the BTEC level2/3 Extended Diploma in Sport, alongside training with the Salford Red Devils academy coaches, and participating in the National College Rugby League Competition. Further to this, the participants will also be given the opportunity to progress through a range of additional sports based qualifications, such as level 1 & 2 coaching, and First Aid courses. The scholarship offers a first class education with a first class professional sport setting, and its committed to developing students, and preparing them for a successful future in sport. “This scholarship offers fantastic opportunity for young men to develop both their rugby experience, and their personal education. The facilities and staff that we have here at the AJ Bell Stadium make this scholarship one of a kind, and give the students the best possible chance to have a successful career in professional sport”.